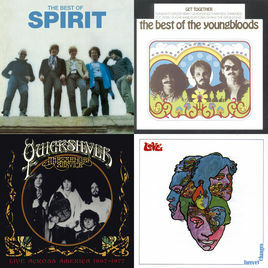 This Apple Music playlist is based on the excellent single “I Got A Line On You” released in 1968 by the Los Angeles based psychedelic rock band Spirit. The song peaked at #25 on the U.S. Top 100 on March 15, 1969. In addition to Spirit, the playlist includes songs by The Youngbloods, Love, Quicksilver Messenger Service, The Byrds, Delaney & Bonnie, Savoy Brown, Vanilla Fudge, and Grand Funk Railroad. I tried to stay within the feeling and energy set by Spirit.